In any personal injury case, you need to prove your case, and in many cases, this requires the testimony of an expert witness. The phrase “expert witness” may sound intimidating, especially to non-lawyers. We hope to alleviate your fears, but also help you understand how a lawyer can help you with proving your claim. 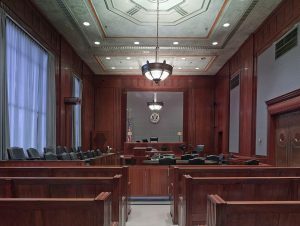 In order to understand the role of an expert witness in your case, you need to first understand that, generally speaking, witnesses are not allowed to testify as to their opinions in court. For example, someone who saw an accident while standing on the sidewalk can testify to what they saw but is not permitted to testify as to whether or not they believe one of the drivers was speeding. Similarly, a woman’s husband who was present during his wife’s surgery will not be permitted to testify as to whether the doctor committed medical malpractice. Elder abuse is a tragic topic – no one wants to think about our seniors suffering abuse at the hands of those who are supposed to be taking care of them. But it’s important to remember that elder abuse isn’t limited to physical abuse. Elder abuse also includes neglect. Nursing homes, assisted living facilities, and even in-home care services are contractually obligated to ensure that those in their care are receiving proper care. When they fail to provide medicine, food, or simply fail to make sure their needs are being met, they may be held liable for their neglect. Also recently reported, a 54-year-old certified nursing assistant who worked at Chaplinwood Nursing Home in Milledgeville was indicted on abuse charges. She allegedly struck an elderly resident in the face while trying to put dirty pants on her. Elder abuse isn’t limited solely to physical abuse and neglect. Sadly, financial abuse is one of the most common forms of elder abuse. Financial abuse can take on many forms and can be very difficult to spot in some cases. In some cases, the abuse can be outright theft. In other cases, they may be voluntarily giving someone money as a result of coercion or fraud. It can be committed by a family member or caretaker, or by someone the senior doesn’t even know, such as in the case of phone and email scams. In this post, we hope to raise awareness of this issue and give you the tools to identify and address it. Did you know that June is Elder Abuse Awareness Month? Sadly, it is estimated that as many as 5 million senior citizens are abused every year, with many cases going unreported. Our seniors are one of our greatest assets, deserving of our deepest respect. They should live their golden years in dignity, safety, and comfort. As a result, we here at Slappey & Sadd would like to take this opportunity to call your attention to this very serious issue and help you identify elder abuse so that it can be stopped. How Safe is Your Mom’s Nursing Home? Many of us have loved ones that are living their golden years in assisted living facilities and nursing homes. Because we owe so much to our senior citizens, the attorneys at Slappey & Sadd want to do their part to shed some light on a very serious issue – the neglect and abuse of our senior citizens. June 15th is World Elder Abuse Awareness Day. It is believed that approximately 60% of cases of elder abuse occur in the senior’s home and at the hands of a family member. However, a significant number of cases occur in a nursing home or similar institutional facility. Elder abuse is not limited to physical trauma. It can take on many forms such as financial abuse, neglect, or emotional abuse. Seniors are vulnerable because of their advancing age and health problems, but seniors who require institutional care are particularly vulnerable. This is especially the case if the senior is suffering from dementia or Alzheimer’s disease. You need to be vigilant if one of your loved ones resides in a nursing home or similar institutional facility. A Daytona Beach nursing home has been sued for the wrongful death of one of its residents, according to court documents filed in late October in Pinellas Circuit Court in Florida. According to the complaint, James A. Evensen suffered from multiple illnesses while in the nursing home, including urosepsis, malnutrition, dehydration, and pneumonia, among other complaints. After being transferred to Halifax Hospital, he died on July 10, 2015. The representative for the estate filed suit on October 19, 2015, for negligence and wrongful death, claiming that the nursing home was negligent in how it treated, cared for, and monitored its residents. Furthermore, the plaintiff alleged that the nursing home failed to adequately supervise and monitor Evensen and did not have adequate staff to provide care. The plaintiff also alleges that the nursing home did not inform Evensen’s family and doctor of his condition. The plaintiff seeks more than $15,000 in damages as well as court costs and attorney fees. 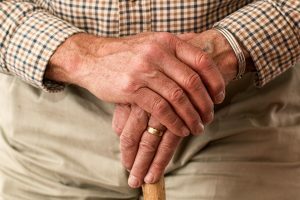 When Is a Nursing Home Negligent? Sixteen states and the District of Columbia are pressuring the Trump administration to protect nursing home residents’ right to take nursing facilities to court over alleged abuse, neglect, and sexual assault. Attorneys general for the District of Columbia, California, Connecticut, Delaware, Hawaii, Illinois, Iowa, Maine, Maryland, Massachusetts, Minnesota, New York, North Carolina, Oregon, Pennsylvania, Vermont, and Washington have sent comments to the Centers for Medicare and Medicaid Services (CMS) opposing its proposal to reverse an Obama-era rule that banned nursing homes from putting language in resident contracts that require disputes to be settled by a third-party arbiter rather than a court. The attorneys argue that these types of clauses, known as pre-dispute binding arbitration agreements, can be procedurally unfair to consumers and can jeopardize the fundamental right of Americans to be heard and seek judicial redress for their climax. When the rule giving residents the right to sue was first promulgated under the Obama administration, the American Health Care Association (AHCA) and a group of nursing homes sued CMS and the Department of Health and Human Services, claiming that the rule violated the Federal Arbitration Act and that the agencies had overstepped their statutory authority in issuing the law. The AHCA said Congress has repeatedly rejected legislation to invalidate arbitration agreements. Under its proposed revisions, CMS said nursing homes would be required to write the arbitration agreements in plain language and explain the agreement to the prospective resident or his or her representative. Residents would also be required to acknowledge they understand the agreement. In November of 2016, a federal judge in Mississippi issued an order temporarily blocking the new rule from taking effect, handing a victory to its opponents. After this ruling, CMS said that it would reconsider the rule. At least four lawsuits have been filed against a nursing home in Florida that was the site of eleven deaths in the wake of Hurricane Irma. The facility, known as the Rehabilitation Center of Hollywood Hills in Hollywood, Florida, lost power during Hurricane Irma, which subsequently knocked out the facility’s air conditioning. All victims of the tragedy are believed to have died from heat-related conditions or from existing conditions that were exacerbated by excessive heat. The first lawsuit, filed by the family of 94-year-old Rosa Cabrera, is based in negligence and seeks unspecified damages. Cabrera, a diabetic with weight problems, had her left leg amputated last year and her right leg amputated in March of this year, just one month before she was placed in the nursing home. In their lawsuit, the Cabrera family said that, as a double amputee, she suffered injury, pain, and distress inflicted by the center’s staff, who should have known that she could not care for herself or escape the “horrific conditions” at the nursing home. Stuart Grossman, the Cabreras’s attorney, said that Cabrera was assured by the rehab center’s staff that she would be safe from the storm as Hurricane Irma approached Florida. Instead, the home placed her in unnecessary danger that could have cost her her life. He said that the center’s conduct far surpasses a failure to meet a standard of care because Cabrera was forced to endure unbearable heat when the staff did not immediately respond to the escalating medical emergency. The nursing home, which has had its operating license suspended since the incident and is under criminal investigation by state and federal regulators, has defended its procedures before, during, and after the storm. In a timeline, the center said that two Florida Power and Light (FPL) transformers—one that powers the building’s life safety systems and the second the air-conditioning chiller—flickered and came back on on the afternoon of September 10th during the storm, but then the power to the AC chiller went down and did not come back online. Nursing home operators said they contacted FPL, state regulators, and even Governor Rick Scott’s cell phone, but received no assistance. They said the staff set up 10 spot coolers and fans on the first and second floors, and eventually obtained additional spot coolers from Memorial Regional Hospital, across the street.But the rehab center’s administrator also admitted in the timeline that they did not call 911 to deal with the medical emergency and failing patients until 1:30 a.m. on September 13th, three days after the air conditioner went down. Five patients had already suffered cardiac arrest or respiratory distress by 4:45 a.m. on that day.